I first heard Abuka Trio streaming across the airwaves via my favourite little radio station, Eastside Radio. If you even possess a passing interest in jazz by the way, save 89.7 on your car sound system. A community radio station playing mostly jazz but with plenty of other groovy sounds that fall loosely under that umbrella. Back to that band and the Tom Waits cover lilting out of the car speakers was as cool as the flip side of the pillow. Cool enough that I pencilled a live gig into my diary. Providence is a variable and it worked in my favour as they were playing at a relatively new venue I'd been itching to check out anyway. Walk through the doors of Foundry 616 and be transported to one of those compact chic jazz clubs so redolent of New York, Chicago or Copenhagen. 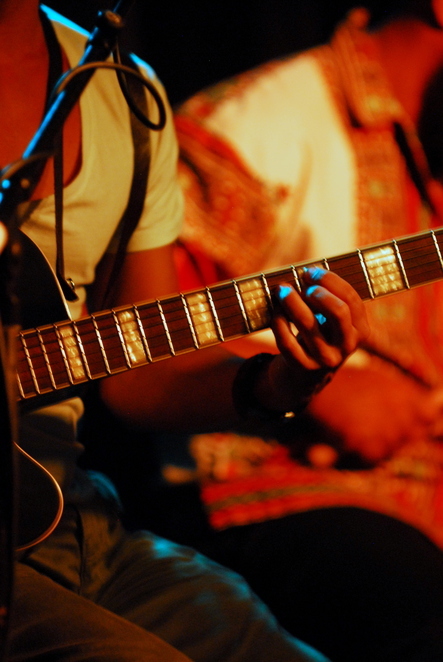 The mantra of the club is "jazz without frontiers" and the eclectic list of upcoming gigs walks that walk. Open Tuesdays to Saturdays, the guest list covers all genres of the genre in servicing an invariably rapt audience of a boutique market. The kitchen also plates up an understated menu with all the mains sitting respectively under $30. I kept it simple, a rare eye fillet with a mushroom and seeded mustard sauce. That tipped the scale at $28, more reasonable than the equivalent of any Darling Harbour establishment around the corner. Bar prices are also refreshingly honest. Couple that with a tempting $15 cover charge for the Abuka Trio and I was able to keep the platinum plastic under wraps. The club will also do a dinner/show combo price which will be even better value for the bargain hunter. Of course the real raison d'être of the club is the jazz and the Abuka Trio sidled up to the stage right on time at 8.30pm. All acts kick off at that hour before polishing off two sets when the curtains come down prior to midnight. The band was predictably smooth and tight as a drum. Faithful to their Latin roots, the music was a kind of Brazilianised, funked-up soul crossbred with jazz grooves. How's that for a pigeon hole? Lead singer, guitarist and composer Tiago de Lucca is the driving force and front man, ably supported by larger than life percussionist Sandro Bueno. However, at the risk of treading on toes, keyboard whiz Marcello Maio was the impassioned standout sizzling on the acoustic piano. I loved it, loved it, loved it. All the evening needed was a reincarnated Stan Getz on tenor to convince you this was some 1960s jazz den in Rio. 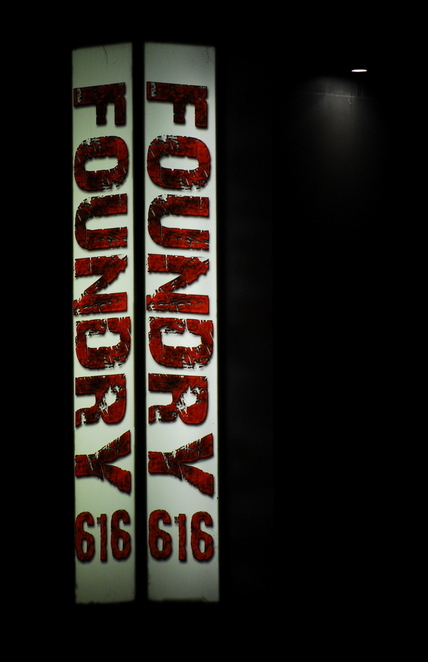 Try and catch this band that perform regularly around Sydney but also make the effort to get behind Foundry 616. 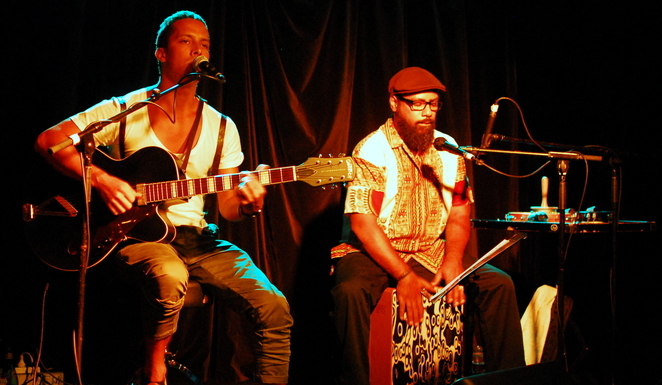 It's clubs like these and Venue 505 at Surry Hills that keep that jazz pulse beating. Long may they live.